First, it should be noted that no single measurement of style ensures that a learner's needs will be met. It is perhaps more important to build an adaptable learning environment that presents the material in a variety of methods than try to determine each learners' style. Likewise, recognizing your own style will help to ensure you do not unintentionally force one learning preference upon the learners. The more styles you address, the easier the instruction will be received by the learners. This is because you will be striving to reach their needs, rather than yours. Also, material presented in a variety of methods keeps the learners interested and reinforces itself. Learning styles come from three schools of thought: Perceptual Modality, Information Processing, and Personality Patterns (Conner, Marcia & Hodgins, Wayne, 2000). Perceptual Modality is a biologically-based reaction to the physical environment. It refers to the primary way our bodies take in information, such as auditory, visual, smell, kinesthetic, and tactile. VAK is perhaps the most popular. Note that this style does not really worry about the why of learning styles. Information Processing distinguishes between the way we think, solve problems, and remember. This may be thought of as the way our brain processes information. The first part of Kolb's Learning Style Inventory in which he describes the process of learning is perhaps the best example. Personality Models are the way we interact with our surroundings. Each of us has a preferred, consistent, distinct way of perceiving, organizing, and retaining information. This is due to the way we were brought up (environment or nurture) and the genes (DNA or nature) within us. This may be thought of as the ego within us, or what makes us what we are. Both the MBTI and Howard Gardner's multiple intelligences are examples. However, the research indicates that the needs of the moment or the present environment generally over rides our personality. Jung found the mandala symbol occurring spontaneously in the dreams and images of his patients. He thought of it as a symbol of wholeness that can aid us in integrating our personality. While several of the styles are represented by various forms of crosses and circles, all the styles and models have one thing in common; they are an attempt to minimize the complexity of an extremely multifaceted subject. It is only by slicing through behaviors one step at a time, such as how we learn through these simple models, will we ever have a chance of understanding our whole learning styles. This is why these models do not fully explain how we learn and at the same time are both right and wrong. 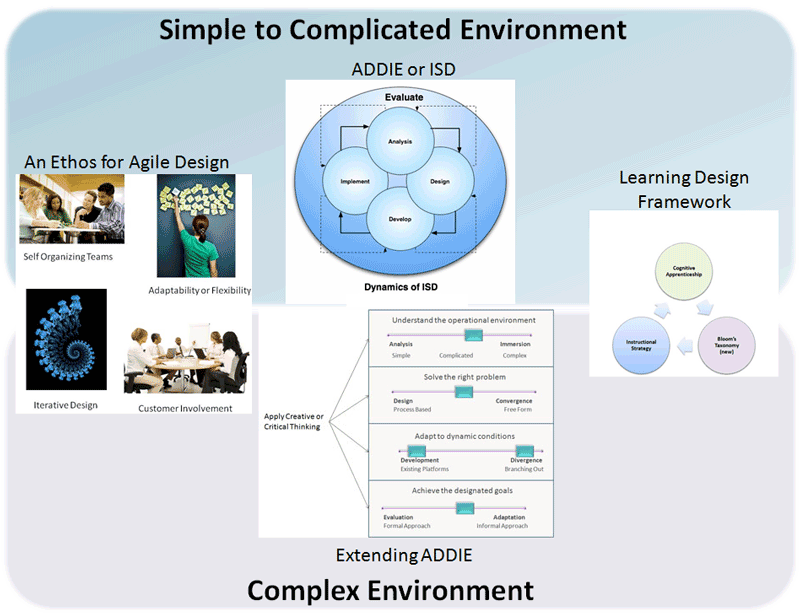 Learning is an extremely complex process. 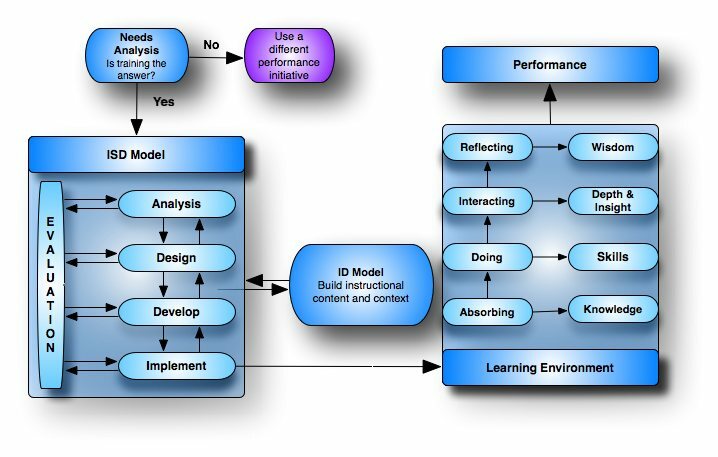 These models tend to simplify the process that is a starting point in understanding a complex process. Also, each one tends to tackle something different in the learning environment by taking a small slice out of it. It is only by looking at these various slices and others will we ever begin to understand the whole learning process. 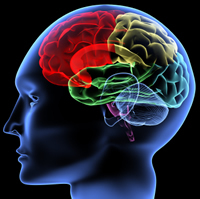 The brain has the lifelong ability to reorganize its neural pathways based on new experiences. This is called plasticity (the more scientific term is neuroplasticity. As we age, we do lose some of our plasticity, however, not as much as the researchers used to believe. Raymond B. Cattell performed a lot of research on “source traits” and “surface traits.” Surface traits cover one huge construct, for example, being greedy, conscientiousness, or an introvert. Note that you cannot just look at an individual behavior and say that person is greedy or is an introvert by observing his or her actions. You have to infer it. The same thing holds true with any other construct. For example, greed—Sally takes all the candy, therefore we might infer that she is greedy. However, maybe she took the candy because she does not want her little brother to eat it and get fat. Surface traits are clusters of behavior that tend to go together, such as altruism, integrity, and realism. While source traits are the underlying roots or causes of these behavior clusters, such as ego weakness vs. strength, submissiveness vs. dominance, and timidity vs. venturesome. Note that surface traits should correspond to common-sense descriptions of behavior and can often be measured by simple observation. For an assessment to measure a style, trait, type, behavior, grid, personality, etc., they have no recourse but to try and identify the cluster of source traits that cause the surface trait (construct). Both must be considered as you cannot build an assessment without considerable knowledge of the source traits. In reality, it is the source traits that make up personality or learning styles. The surface trait is just a construct that we put a label on, thus it is a label, not a behavior. Since we are attaching a label, it is an inference. Thus, the labels used in learning styles are inferences. Wow hard is it to measure inferences? Most psychologists define personality on five dimensions: openness, conscientiousness, extroversion, agreeableness, and neuroticism (OCEAN). About 40 percent is due to genes, 10% due to shared environments (e.g. family), 25% to unique experiences, and 25% due to measurement errors (Bouchard, 1999). Note the measurement error — 25% — and this is from an assessment that psychologists use. When you include measurement errors for the wide assortment of learning styles out there, it gets even higher. Also, while there is large effect of genes on personality, 40%, there is a caveat to this—the younger you are, the less effect that genes have on you (McGue, Bouchard, Iacono, and Lykken, 1993). As we age, our genes start to have stronger influences. Thus learning style assessments are probably more accurate for older people as younger ones are simply more adaptive due to the greater plasticity of their brains. Mischel and Philip Peake showed that some traits, such as conscientiousness, may have an impressive stability over a period of time, but little consistency across situations. And although we may be consistent in one trait, another trait may have no consistency at all. Yet, even if a trait is consistent, it fails to tell us how a person is going to act in a given situation. So it does not matter how consistent the trait is as it really has no impact on our behavior. Behavior and personality are really two quite distinct beasts. Behavior is an outcome of our mental modes, while personality is a combination of traits. And traits are nothing more than constructs. So the traits these assessments measure cannot determine which traits are consistent, and even if the trait is quite consistent, it has no real impact in how we will react when dealing with a given situation. When you add in the large test measurement error rate, the instability of traits due to aging, then it simply becomes very difficult, if not downright impossible to crate a valid assessment for learning styles. nature-nurture debate: The essential readings (pp. 98-103). Oxford: Blackwell Publishers. ability: a life-span perspective. In Nature, Nurture, & Psychology, ed. R. Plomin, G. E.McClearn, pp. 59–76. Washington DC: Am. Psychol. Assoc. 498 pp.